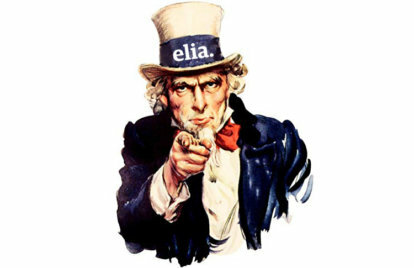 Elia Association » The Elia Board wants YOU! If you’re passionate about the language industry, now’s your chance to make a difference by standing for election to the Elia Board. Senior executives working for an Elia Full Member company are eligible to stand for election to one of the four positions that will become available once the current term ends in October 2019. Candidates for these positions must have decision-making responsibilities in their respective companies. The Elia Board of Directors is made up of volunteers who share their time, experience and insights to help develop Elia’s events, initiatives and role in the language industry. With a broader and busier agenda than ever in 2019, this is an exciting time to join Elia and help contribute to our strategy, finance, policy, events and more. Further details about the role of the Elia Board and responsibilities of Directors can be found in the Elia Board of Directors Code of Conduct . Being an Elia Director is an active role, and we strongly encourage you to read the Code of Conduct to fully understand what is involved in this challenging yet extremely rewarding position. Candidates must be employees of Elia Full Member companies. To submit your candidacy for election to the Board, please fill out the Directors Candidacy form and include a photo of yourself. This will be sent as a link by email to the contacts we currently hold on our database. If you would like to also receive a copy, please email us and we can forward you the link. If you have any questions about the election or submitting your candidacy, please contact John Terninko, Elia Managing Director.